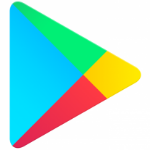 Google Play promo codes are a good way for developers to encourage engagement by giving away free stuff — in-app purchases or entire apps. Curiously, although anyone in the world can redeem these codes, only developers based in certain countries can issue them. Normally, additional countries are added in groups; recently, in two batches in March and one in April. Now, just one additional country joins the list: Indonesia.